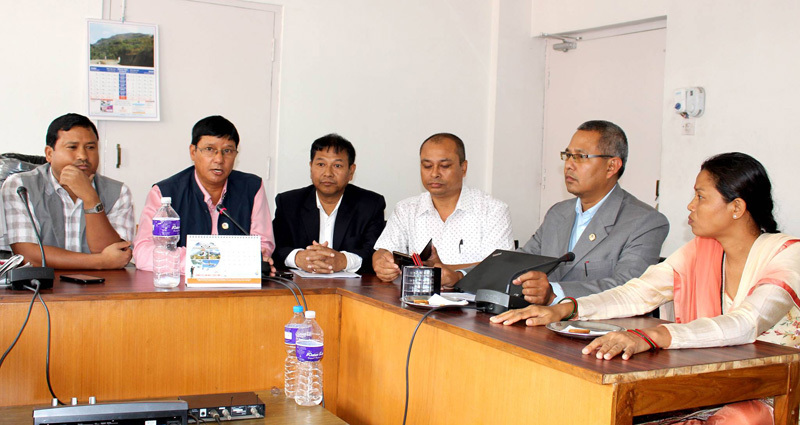 KATHMANDU, Feb 18: Various political parties representing the Tharu community have started working for party unification as the government prepares to impose threshold provision in the new election laws. They have decided to initiate the unification process as they think that too many small parties will only weaken the Tharu agendas. Different political parties having common agendas have initiated the unification process from the capital and other cities, according to the leaders privy to the development. Tharuhat Tarai Party led by Bhanuram Tharu has been negotiating with Bijay Gachhedar-led Madhesi Peoples Right Forum Democratic (MPFR-D) while Rastriya Loktantrik Manch (Tharuhat) has been discussing with Nagarik Samajbadi Party led by Rajkumar Lekhi for party unification. Chairman of Tharuhat Tarai Party Bhanuram Tharu said that initiatives are underway for party unification with MPRF-D.
"Our party central working committee has decided that party unification can be forged with those political parties having common agendas for institutionalizing Tharu agendas," said Tharu. He also said that meeting with Nagarik Samajbadi party is planned for Sunday in a bid to discuss for cooperation and unification. But Chairman of Nagarik Party Lekhi said his is not aware about the developments. He however said that his party is open for unification and cooperation with other Tharu-centric political parties. Chief whip of MPRF-D Yogendra Chaudhary also said that there are chances of party unification with the parties having common agendas. Janak Chaudhary of the same party informed that discussions are underway for party unification with different political parties. Rukmini Chaudhary of Rastriya Loktantrik Party (Tharuhat) said that discussions aimed at party unification are underway with various fringe political parties. She further said that her party is against unification with big political parties. Lawmaker of Tharuhat Tarai Party Gopal Dahit also informed that the party has been holding negotiation with fringe political parties.